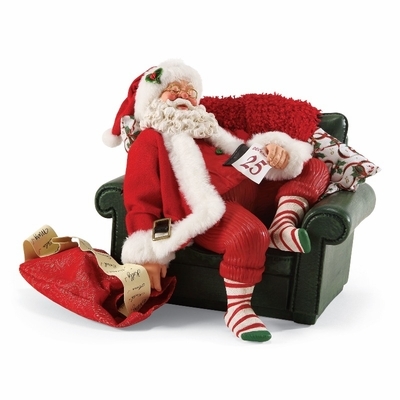 Possible Dreams Santa - "December 25th"
Home > Santas - Collectibles, Ornaments and Holiday Decor > Possible Dreams Santa - "December 25th"
Someone is too tired to do more than take off his boots and change the date on the calendar. He did a great job delivering all of the gifts on the sleigh. Let�s give him little quiet so he can take a well-deserved nap.